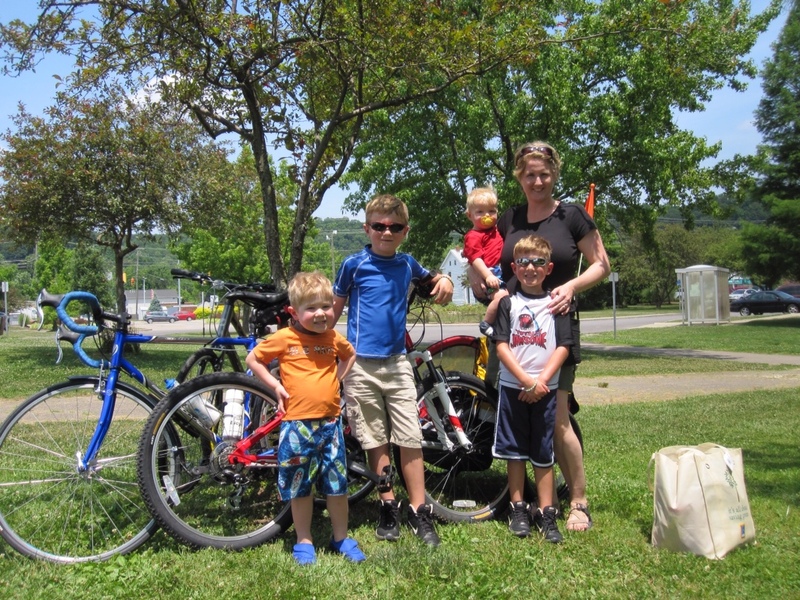 My sons’ school had a party at the Nelsonville Pool this morning at 10, so I left the house at 8 on my bike. 2 hours and 28 miles later, I met up with them at the pool. Fox Lake Road continues to be one of my favorite roads in Athens. I haven’t been on it in a long time. It offers some decent climbs and a good mix of rollers with minimal traffics. 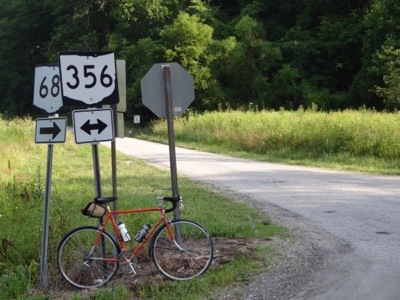 The low points on 356 were about ten degrees cooler than the rest of the road. They literally gave me a breath of fresh air when it was badly needed. I made it up all the hills, even the hill up from 56 on 691. That one is easily one of the harder hills in the area. 691 was radically smooth and fast, having just been paved recently. However, the fresh blacktop made it especially hot. it was only 75 degrees when I left the house, but creeping into the nineties by the time I arrived at the pull. Overall a fantastic ride on some roads that I have not been on in quite some time. We finally got my wife a bike, which means the whole family can finally ride together. For her maiden voyage, we rode from Peden Stadium to the Athens City Poo via the bike path. VWe carried all of our swim gear and lunch in the back of the trailer. We had lunch and swam with the boys for some time, then rode back to the car. 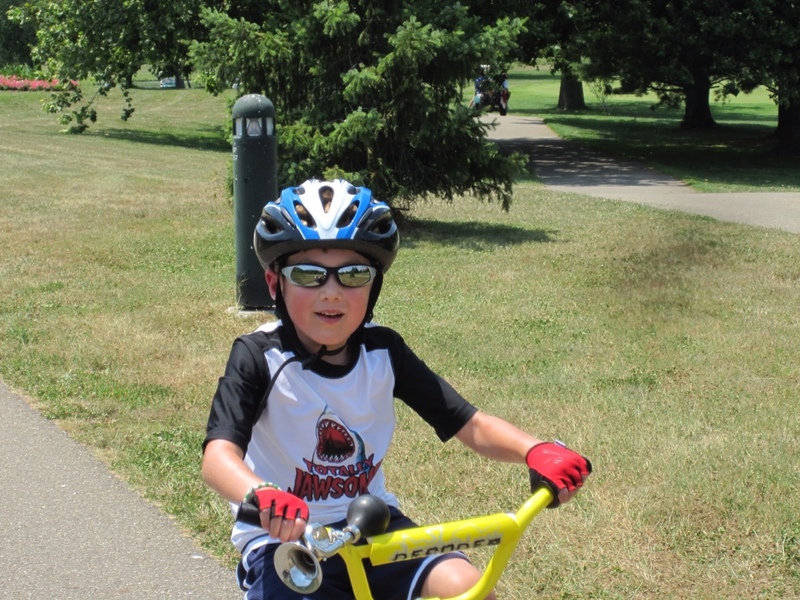 It was also my son's first time off the trail-a-bike and on his training wheels. He had a hard time coming back to the car, but we managed. My youngest son did great in the trailer with his older brother, as it was his first time riding. 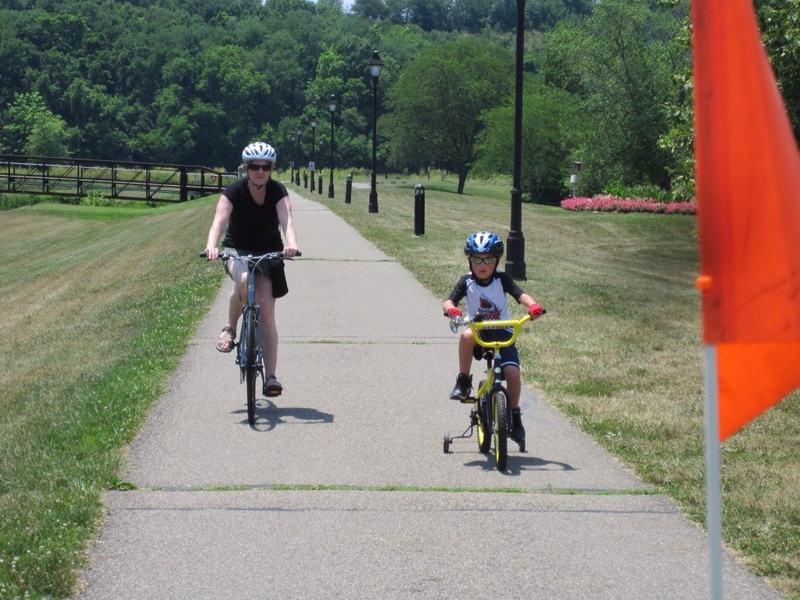 It was a fantastic first family outing on bikes, and I am very excited about our future rides together! Got out this morning for a really nice ride. With the van in the shop, I had no way to get my bike to the bike path, so I rode from my house. 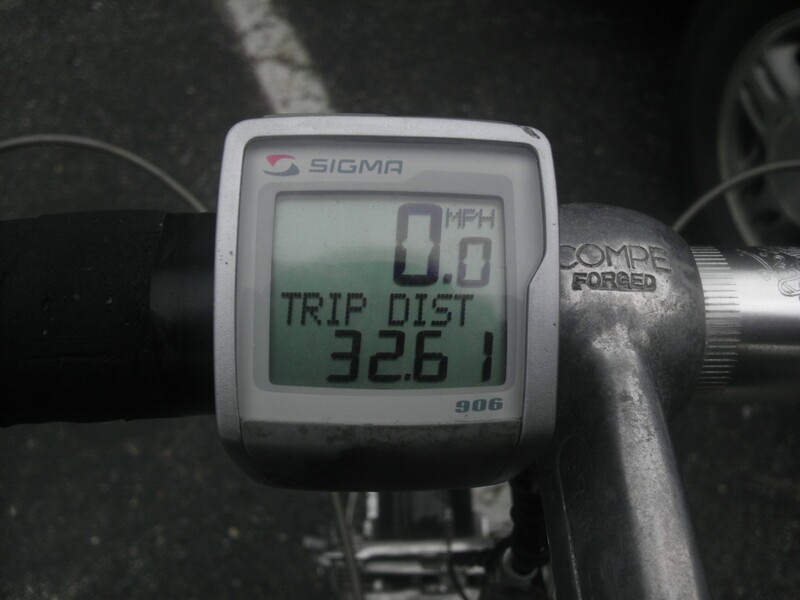 Did a little over 23 miles in about an hour and forty minutes. 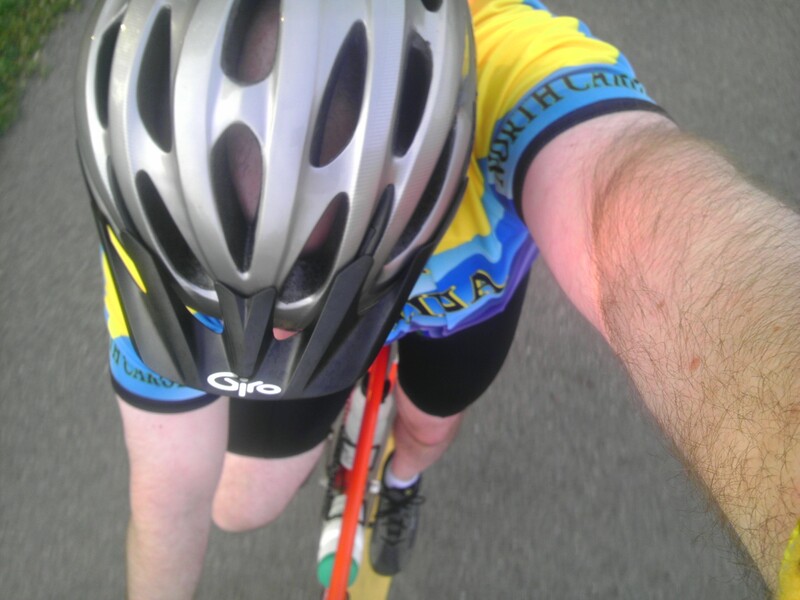 My right knee is still clicking a little off and on, even after raising my seat 1/4 inch. I will probably leave the seat where it is for a while and hope it sorts itself out. Made it up Blackburn and Wonder Hills without much of an issue. It’s always a good day when you can ride 20 miles and make it up Blackburn. A few cell phone snaps and the route below. Got in a good ride on the bike path this morning. I started later than I intended, but still managed to get to Nelsonville and back in just under two hours. 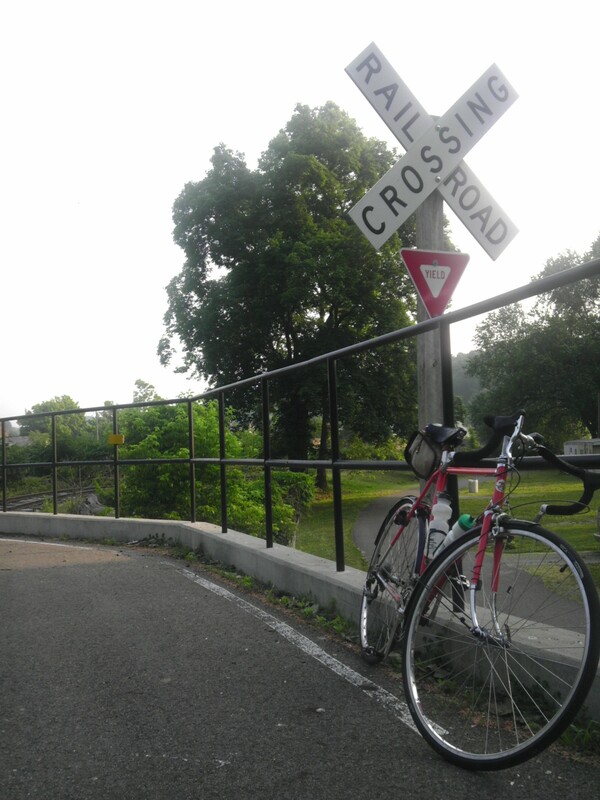 The bike path can get a touch boring at times, but it is a way to get miles in a predictable amount of time. 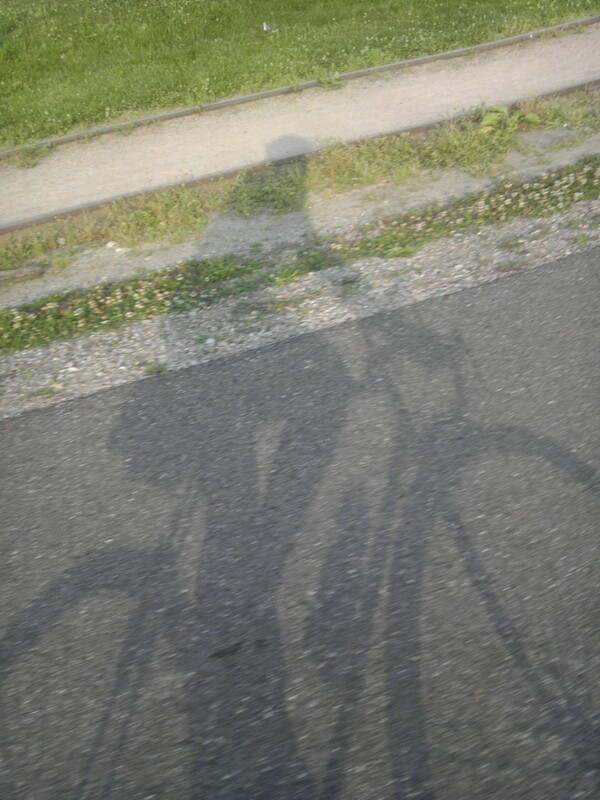 In the mornings it is a very peaceful ride, though today I had to dodge quite a few chipmunks. Below are a few snapshots. I got out yesterday morning for a two hour ride on the bike path. Started at Peden at 6:15 and rode up to Nelsonville and back. I haven’t spent a lot of time on my Schwinn this year, so the fit felt a little awkward. After 45 minutes or so, my body seemed to dial into the bike, and the bike was really comfortable as I had remembered it. At that time of the morning I didn’t see a soul for 20 miles. It was the kind of quiet long ride that I needed. Below a some snaps that I took with my phone.